Truthfully, I'm not even going to try and go around it, I don't like powder eyeshadows. I mean, I know how to use them and all, but I'd rather not. Well, because, uhm, it's just way too cumbersome. It literally takes twice the time I'd use to apply a pressed eyeshadow so I try to avoid them as often as I can. That doesn't mean I don't get them in goodie bags or have them sent to me, I do. Most times, receiving them just reminds me of the really nice quality some of them have. Like this Sleek eye dust. I received a while back from Sleek Studio. 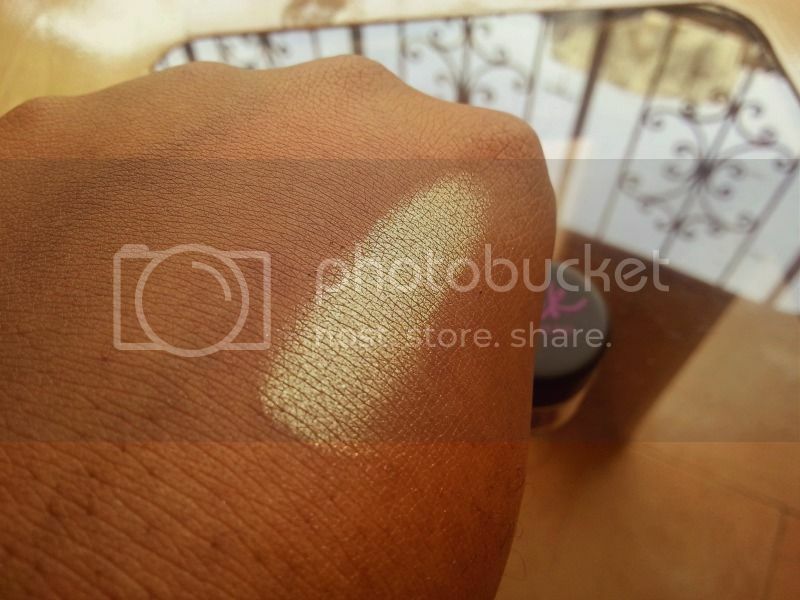 It's really pigmented...like all Sleek Makeup products are. 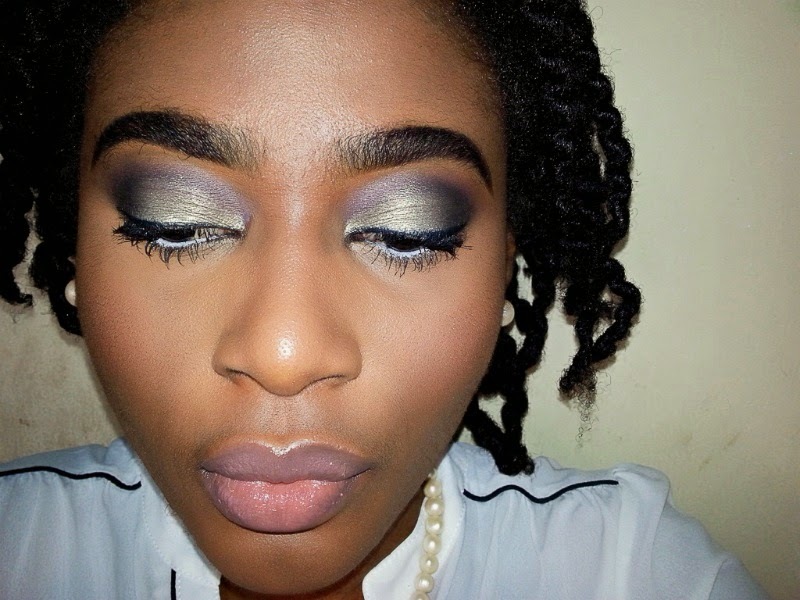 No one mentions the fact that Sleek makeup products are super pigmented anymore. I don't know why though but think it's a benefit that the brand can and should really ride on. A dip in the pigment and a swipe is all I needed for the swatch. 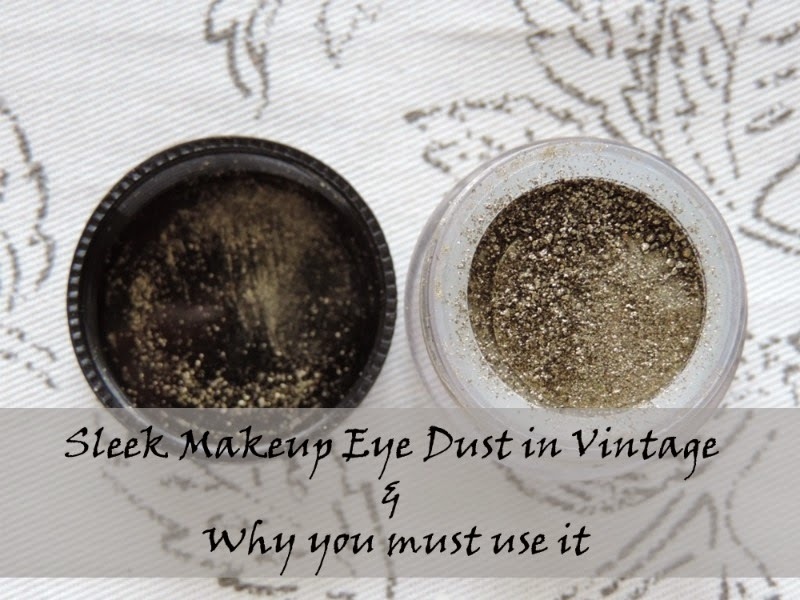 For a very long time I just couldn't bring myself to go round the really easy routine I created for my makeup and pick up this eye dust. But...I finally did. Even with all my concerns, I managed to swing it and created a nice look. I had to apply my makeup eyes first though and had a couple of glitches here and there cos I'm not used to it. If you look properly, you'll see a couple of missed spots where the undereye concealer didn't reach in the inner eye area. Would I use again? I seriously doubt it. Not because it isn't a great product but because it's too much stress and I'm too lazy, lol. What do you guys think about loose eyeshadows? Would you use them?